Centaur Interiors was chosen as the construction management and design-build contractor for an extensive renovation on the 17th floor of a 41-story tower on Lake Shore Drive. 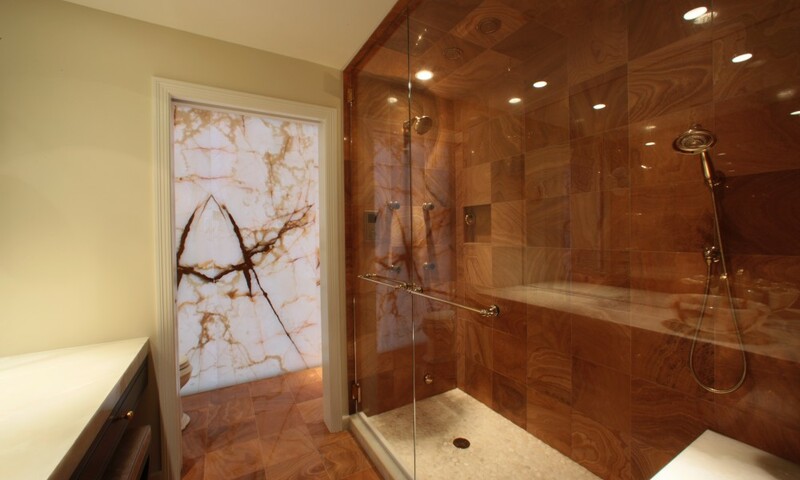 Although a new building, the owner wanted to modernize the Master Bath Suite and Powder Room to reflect her particular design tastes. Michael Miller was involved in the early stages of the project, before the designs were finalized, to listen and lend their expertise and to provide a turnkey solution to the homeowner. 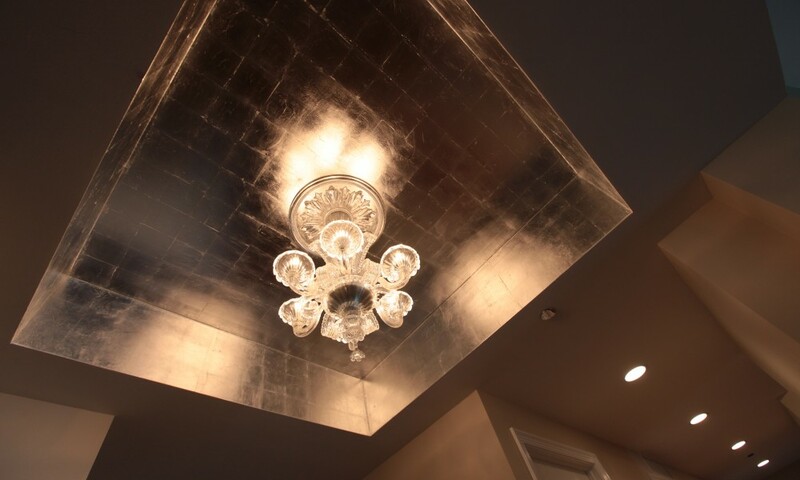 Centaur Interiors – in collaboration with the owner, Kohler, the interior designer, building engineer and property manager – transformed the home into a sleek and upscale space expressing the homeowner’s standard of living. 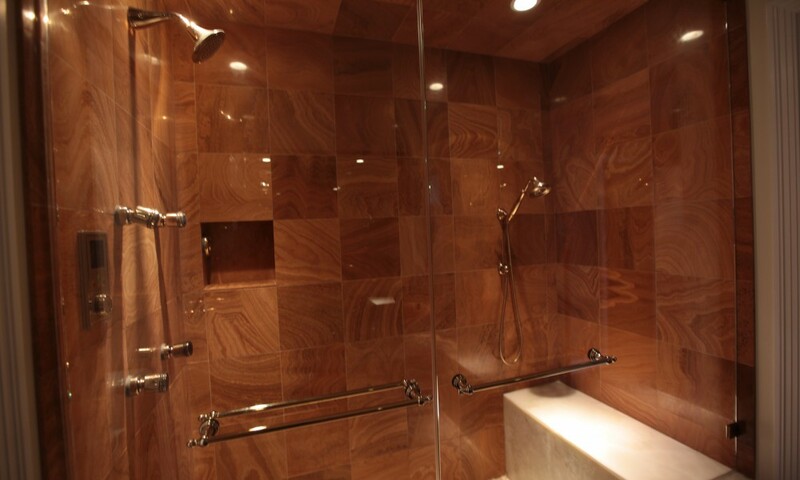 Referred by Kohler, the initial bath remodel turned into a full remodel after it became apparent to the homeowner that the team could meet all of her renovation goals and desires. 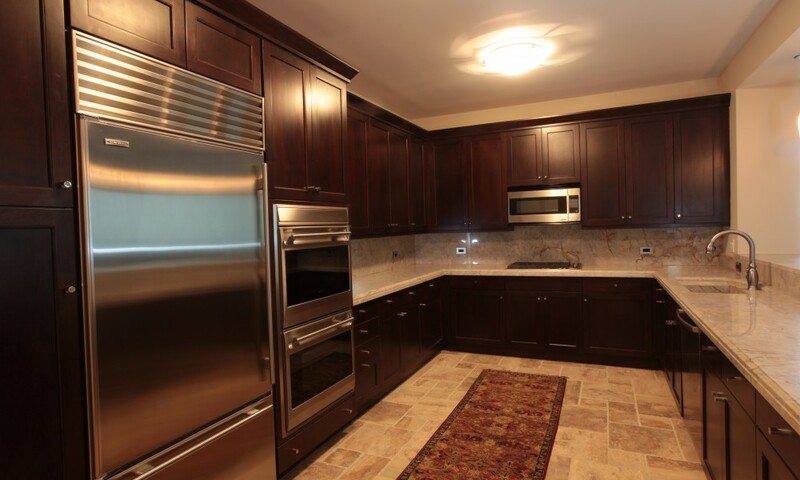 The scope of work changed to include additional construction projects in the home. Miller’s team led the vigorous 7-week transformation and was responsible for the architecture, engineering and construction management of the project. 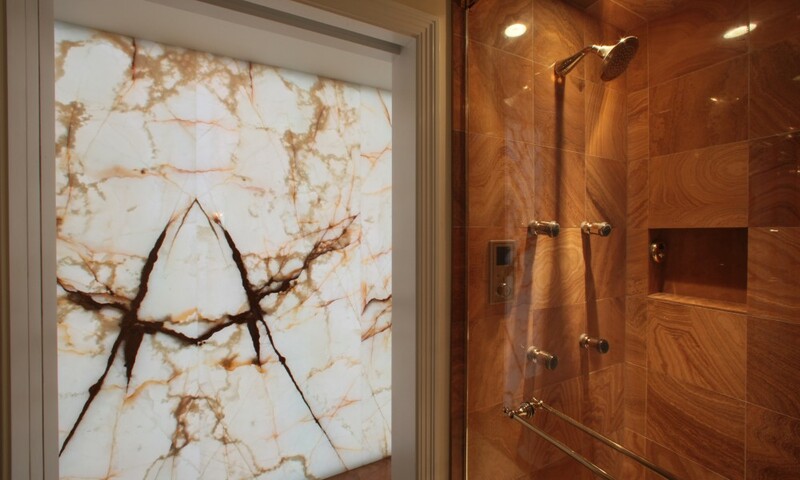 The Master Bath Suite was reconfigured to include a water closet for a toilet, bidet and a state-of-the-art Kohler DTV shower system with rain heads, body sprays and steam with custom-mounted controls. Incorporating an innovative lighting solution, the new suite is highlighted by a custom-designed back-lit green onyx wall. 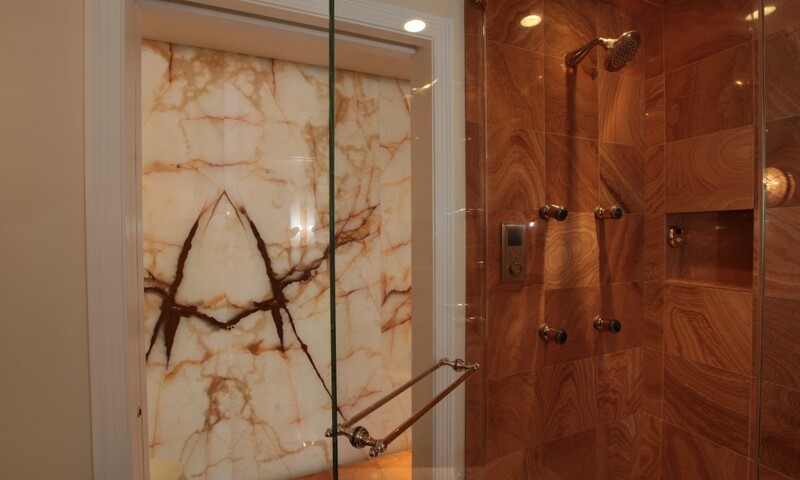 Taking cues from the design elements in the Master Bath Suite, the ambiance in the Powder Room was transformed to include beauty and creative details. 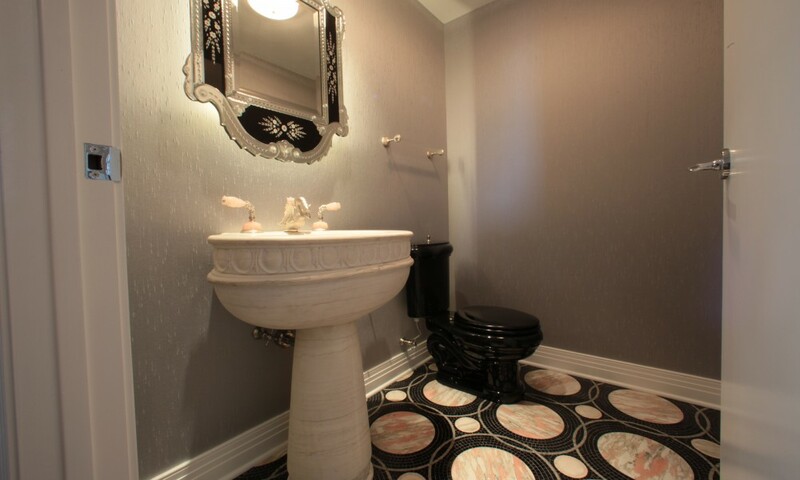 The stand-out feature in the room is a hand-carved onyx sink and a brushed nickel swan faucet. 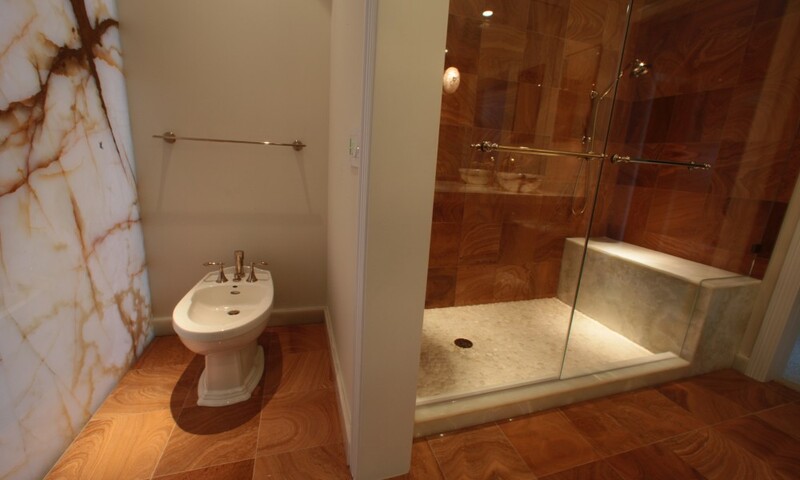 Additional elements include a custom patterned mosaic stone floor and silk covered walls. 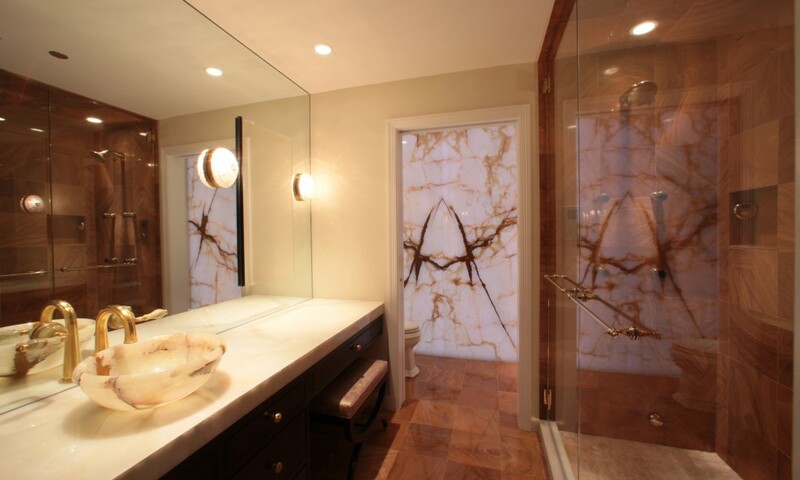 The back-lit mirrors are the perfect touch in the fashionable setting.